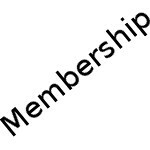 View cart “Family Membership” has been added to your cart. The Trent Valley Archives is fairly complex for its size. The expense of running a heritage research centre includes computer, telephone, gas, and electricity expenses as well as the supply of archival quality materials such as print and negative preservers. Trent Valley Archives has an annual operating budget of about $80 000. Sustaining members effectively pay the fair share of such an operation. The rules of the Canadian Revenue Agency allow us to give income tax receipts for the portion of the membership fee that exceeds the tangible cost of memberships and perks. Currently, the sustaining membership fee is $250, of which $190 is eligible for an income tax receipt. Because your support is so important to all that we do, we are able to show our appreciation by offering a free book from our shop to our sustaining members.